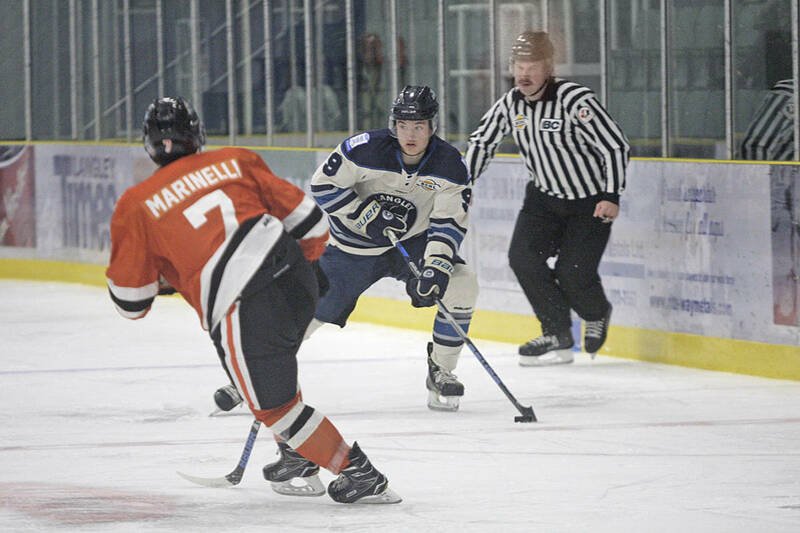 Nov. 19, 2017 9:30 p.m.
Two victories in three tries helped the Langley Rivermen maintain top spot in the Mainland Division, although a new team is nipping at their heels. The Rivermen improved to 13-5-9-0 after a 2-1 overtime victory over the visiting Nanaimo Clippers in junior A BCHL hockey on Sunday afternoon at the George Preston Recreation Centre. The Rivermen also won 5-2 against Coquitlam on Nov. 16 and lost 4-2 to the Wenatchee Wild on Nov. 18. All three games were on home ice. 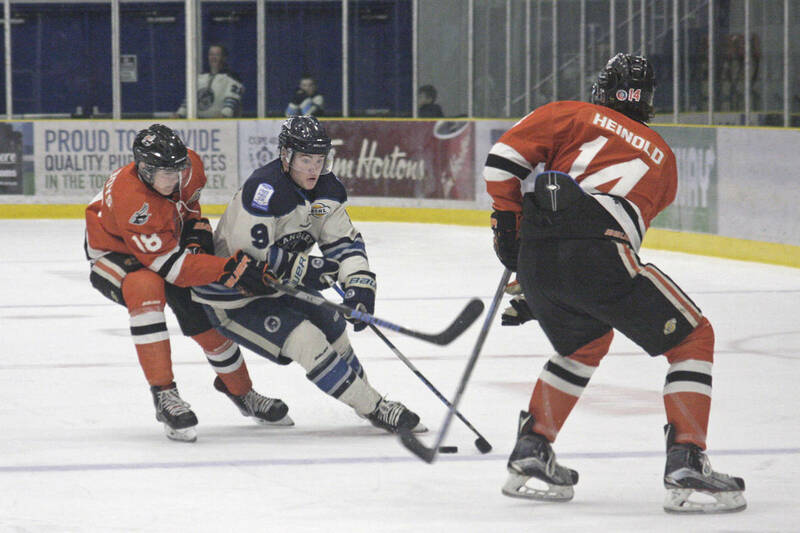 “The bookends were good,” said Rivermen head coach Bobby Henderson. “The Saturday night game against Wenatchee, we built a good lead but deviated from the game plan and kind of beat ourselves more than anything. In Sunday’s matinee, Trevor St. Jean provided all the offence for Langley, opening the scoring in the first period and then potting the winner in the second overtime period. 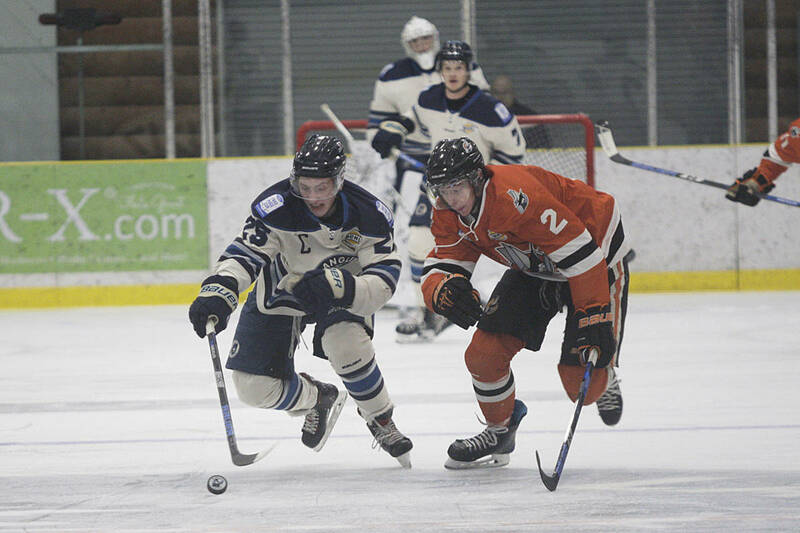 Jake Harris scored for Nanaimo early in the second period. Braedon Fleming picked up the victory, taking over the net for Chad Cromar early in the second period. Cromar made a dozen saves on 13 shots with Fleming stopping all 19 shots he faced. Cromar suffered an upper body injury when some players landed on the goaltender during a scrum in front of the Rivermen goal, Henderson said. “(Braedon) did a great job coming in, which isn’t always an easy thing to do midway through a game,” the coach said. The Rivermen were coming off a rare regulation loss, 4-2 to the visiting Wenatchee Wild the night before. 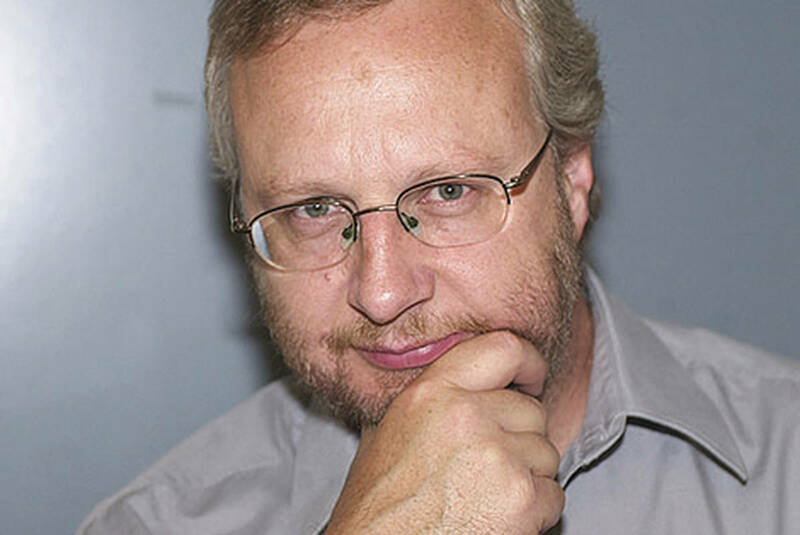 It was just the fifth time in 27 games Langley failed to pick up at least a single point. Langley had led 2-0 after 20 minutes off goals from Brady Berger and Angus Crookshank, but the Wild cut the lead to 2-1 after 40 minutes and then scored three times in the third period. Jared Christy, Sam Morton, Zak Galambos and Jackson Wozniak had the Wild goals while Jasper Weatherby had three assists. Fleming made 35 saves in a losing effort for Langley. Up next for Langley is a home-and-home with the second-place Surrey Eagles. The Eagles (14-10-2-1) enter the week four points back of Langley thanks to five wins in their past six games and just two regulation losses in their past dozen games (9-2-1-0). 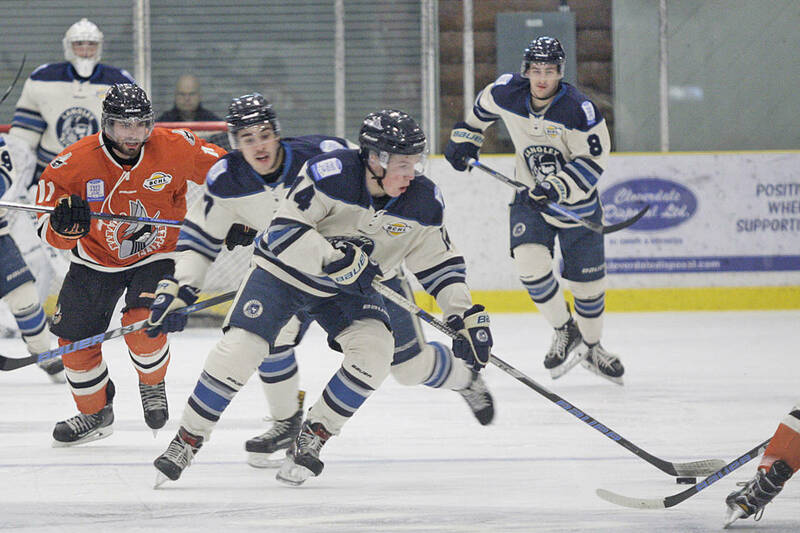 The teams play Friday at South Surrey Arena before facing off at the Preston Centre the following night at 7 p.m.